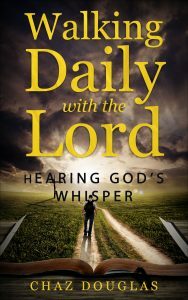 Learn How to Hear God’s Whisper! Develop a wonderful relationship with God to hear his voice. Over the years as I read the Bible, I understood that individuals that had great relationships with the Lord were favored and heard his voice. I believe this devotional will give you keys to building and maintain an awesome friendship with the Lord to hear him and live an awesome life for the Lord. Have an Open Ear for the Lord! Receive an ear for the Lord by reading his Word daily. You will be strong because God’s Word is strong and it is sharper than a double edged sword. This is a Bible driven book. This book will help you become powerful and have an ear for God’s voice. Apply the Word to your life! We can read the Bible everyday but if we don’t know how to apply to our life it won’t be able to benefit us. This devotional will help men and women apply the Word of God to their lives. You won’t be able to apply the Word of God if you don’t understand what the Bible is saying. This devotional is an easy read and will help you understand the Scriptures. I believe the topics and points in this devotional will prepare you to be like Jesus. Our goal in life is to be like Jesus and to follow him and the lessons in this book will guide you in the right direction.